Predictably, the public debate about the pest control toxin 1080 has ramped up a notch in recent weeks and months. 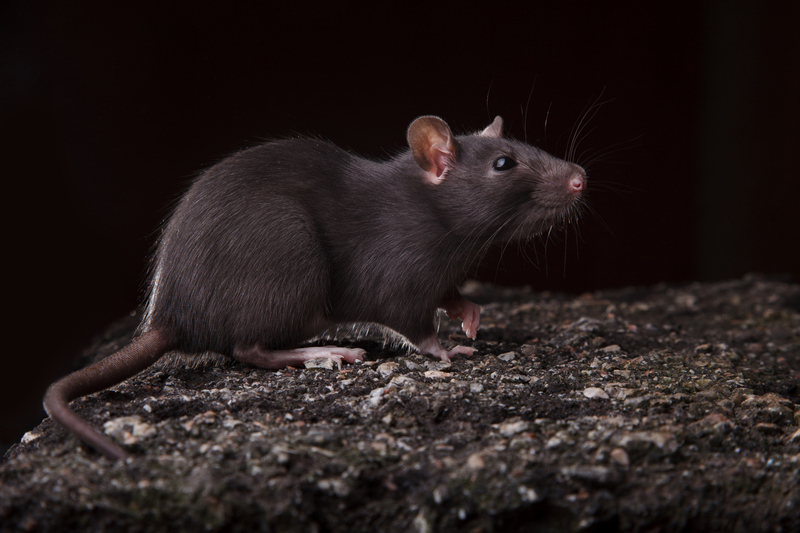 I say predictably, because it is no surprise to anyone involved in conservation that pest control methods – whatever they might be – are controversial. Such controversy is a global phenomenon, often with polarised debates. Why does such polarisation occur, and what can we do about it? I’m not debating the facts here. 1080 is safe to use. It benefits native flora and fauna, and has played a major role in massively reducing the incidence of bovine tuberculosis in possums in this country – the two main reasons why New Zealand uses 1080. It’s also cheap, moderately humane, does not persist in the human food chain, breaks down into its constituent components rapidly in water, and is the only pest control tool that can cover large areas cost-effectively. The Parliamentary Commissioner for the Environment, in a seminal report produced in 2011, concluded as much. Several more recent studies (such as this, this, this, this, and this) have all concluded that the use of aerial 1080 has delivered enormous environmental and economic benefits and does not contaminate the environment. In his book Protecting Paradise, Dave Hansford gave us a thoughtful analysis of the use of 1080 in the fight to save New Zealand’s wildlife – and concludes without a shadow of a doubt that most of the arguments against 1080 are simply incorrect. If you’ve read this far, you already agree with the above statements. However, the debate about 1080 is not, and never has been, an evidence-based discussion. Indeed, in 2011 Wren Green and Maheswaran Rohan cautioned that science is an important voice but not the only voice when it comes to understanding people’s opposition to 1080. And that is where we as scientists have failed: we assume that others think like us, and that humans use reason and logic in decision-making (in this case, to form an opinion about the use of 1080). However, people do not always use reason or logic to make decisions – otherwise by now (given the overwhelming weight of evidence) we wouldn’t be having the debate in the first place. Instead, people make decisions and form opinions based on their personal values, belief systems, and world views. Given that people form opinions about topics such as pest control based on a set of personal values and beliefs, we can assume that as new pest control tools become available in the future, they too may provoke strong reactions from different parts of society. In turn, this means that we need to provide people with choices: a range of pest control options, best suited to the needs of local communities, are needed if we are to empower people to take action to protect New Zealand’s biological heritage. This is especially important as we increase the scale of pest control, and if we are serious about a predator-free New Zealand. What alternatives to 1080 are on the horizon? In the BioHeritage Challenge, we made a deliberate choice to explore a range of potential game-changing tools and technologies for the control of pests. Super lures: James Russell at the University of Auckland, with a team from Plant and Food Research, Manaaki Whenua, the University of Otago and Victoria University of Wellington, are exploring the pied piper effect with new super-lures that attract mammals. Highly attractive lures are an important component when using ground-based devices for pest control, such as traps and bait stations. Genetic technologies: James and the team are also mining genomes of pest animals to develop species-selective toxins. Imagine being able to apply a bait on farmland that is poisonous to rats, but not dogs or livestock. This would be a game-changer for the 60% of the country that is privately-owned. Genome sequencing of possums and rats completes the picture for this research team, so that in the future New Zealand will have the option of developing new technologies such as gene editing. Gene editing technologies are a potentially important tool, for example to ‘drive’ a trait such as infertility through the males of a population. Such a tool would not involve killing animals – the population would slowly die out through time. Similar work is being done by a team led by Phil Lester from Victoria University of Wellington. This team are investigating a range of options for the control of wasps in New Zealand. Any new technological discoveries may be transferred to mammal pests at a later date. For example, a technique called RNA interference to reduce fertility in male wasps would essentially work in the same way as a targeted pesticide application, but without adverse effects on beneficial insects such as bees. If you want to know more about gene editing technologies, the Royal Society Te Apārangi has made available a great deal of information in an excellent series here. Near-to-market technologies: In the BioHeritage Challenge we have also supported workshops to explore new tools, or improvement of existing tools and technologies, that can be used in the field now or in the near future. This work was spearheaded by Bruce Warburton and James Ross from Manaaki Whenua and Lincoln University respectively, and presented in this report. These tools include anticoagulant poisons; other acute poisons such as sodium cyanide; the predator-specific toxin PAPP; and tutin, a natural toxin derived from the New Zealand native plant tutu. Nearly 85% of the New Zealand public agree that pest species are a significant conservation problem. As we scale up pest control across a range of New Zealand landscapes, we are going to need a range of new tools in the toolbox. But equally importantly, we are going to need to provide people with choices for how, when and whether to use such tools. These choices will be made from the heart, when people are empowered to take action in their local communities. We need to understand the different values that people hold, work respectfully to understand and address concerns as they emerge, and be transparent about the risks and opportunities associated with the development of each new technology. In my opinion, there is no point in developing new tools and technologies that will not be acceptable to the New Zealand public, but I would be equally disappointed if new scientific discoveries were shut down or mothballed before we had a chance to fully investigate the pros and cons. What we do know is that simply providing people with more facts and information can serve to further polarise a debate. Social research has an important role to play in shaping conversations between scientists and the public, and in helping prevent polarised views from emerging. In the BioHeritage Challenge, a team led by Edy MacDonald at the Department of Conservation recently completed one of the largest surveys ever undertaken of the New Zealand public’s views on novel pest control technologies. If you are interested in finding out more about their findings, and about the characteristics of different beliefs and values in New Zealand society, Edy presents their findings in this YouTube video. This research is a vital first step towards a more considered and less polarised public discussion – not just about 1080, but about a range of current and future tools. Scaling up predator control will inevitably raise concerns about the tools and technologies we use for conservation. Some people will be relieved if New Zealand is eventually able to reduce its reliance on 1080. Some may welcome the emergence of gene editing technologies if they are more humane, cheap and effective. Others will argue that the use of gene editing is unacceptable as a pest control tool. Still others will remain opposed to spreading baits from a helicopter – whether 1080 or a new toxin. We need to be able to accommodate these different viewpoints and apply different tools tactically across our landscapes, informed by the underlying values held in New Zealand society, so that we build trust and support for pest control and conservation across a wide sector of New Zealand society. We urgently need a range of alternatives to 1080, and we need to continue to invest in social research to inform such balanced discussions. Dr Andrea Byrom is Director of the BioHeritage National Science Challenge. Of course New Zealand needs alternatives to 1080 to reduce the pest species, largely mammalian, that have been introduced by mankind (both Maori and non-Maori). But until we have those alternatives, 1080 remains the best option for elimination of mammalian pest species. Thanks for pointing out some future alternatives to 1080. I do take issue with the moderately humane’ comment. I am aware that was the finding in the state funded report by the commissioner for the environment in 2011. I recently read a report from forest and bird, that was in favour of 1080 use, but found it to be (from memory) 8/10 for ‘inhumanity’. This acceptance of an animals extreme suffering can only be accepted if looking through a balance sheet lens (bang for bucks), or by painting opossums, rats and mustelids as bad or evil. It is the cruel painful death I am against. Hi gsays – by its very nature, a term like “moderate” is comparative, not absolute. Compared to other eradication methods currently licenced, 1080 is somewhere in the middle. There are other poisons that are more humane, killing within seconds – unfortunately, they tend to kill everything and/or hang around in the environment. Other poisons can lead to days of slow and untidy suffering. Shooting is entirely up to the skill of the hunter and can lead to either very quick or very slow deaths. Traps are generally quick and clean, but are implausibly high maintenance leading to the pain and suffering of non-target species that continue to be caught, killed and eaten by the predators. It’s not just the humanity of the target species we need to consider then. A replacement for 1080 that improves on all its current performance metrics would be great. In the meantime and on balance its often the best option. Sometimes slow acting is advantageous. This is the case when aiming for eradication either on an island or in a fenced sanctuary. If a bait is too fast acting it can induce bait shyness before a fatal dose is consumed. This is mere rhetoric! The point is that there isn’t any need to eliminate mammalian pest species over large areas of the country, only at most in a few particular areas where particular species are particularly threatened by predation. DoC is massively talking up the need for large scale predator eradication. It provides them with significant funding opportunities. So, doing nothing remains the best option. And yet, possums, deer, pigs & goats are widespread in our native forests and do significant damage to both understorey & canopy – not just “in a few particular areas”. We are talking about ecosystem-wide damage here, in addition to the potential extinction of individual species. Doing nothing, as you suggest, will see the loss of those ecosystems & by extension the species that are part of them. Are you seriously advocating for that? Where’s the evidence for your strong assertion that doing nothing “will see the loss of those ecosystems & by extension the species that are part of them”?? Please stop straw-manning me! I am far from “unaware of the significant damage done to understorey by deer & pigs, or to canopy by possums”! The issue is whether or not doing nothing will result in significant further loss of ecosystems and/or species. My view is that most ecosystems in NZ are stable with respect to the effects of introduced mammals. That is not to say that they are unaffected, far from it, but just that doing nothing isn’t going to result in any sort of impending ecological catastrophe of the kind that Nicola Toki has been pushing. No strawmanning. Doing nothing = travelling further along the route of ecosystem collapse. The presence of deer & pigs & goats means that the understorey doesn’t get a chance to regenerate, while possums are destroying the canopy – this is not a stable state. That is all described in the links I provided. In addition, we don’t necessarily know which of the species in those ecosystems are keystone species. We’re already seeing the outcome in Northland, and it’s not just DoC saying that; the iwi and groups like Forest & Bird are saying the same. Losing those forests due to “doing nothing” = losing the species living in them, & in at least some cases that will equate to national, not just regional, extinction. Alarmist nonsense. The introduced mammals are simply significantly suppressing the full potential of our forests, but this is very different to some sort of path to total destruction of our forests, of the kind that you paint a picture of. There is still a case for eradication, but it is nowhere near as strong or urgent as you and others claim it to be. We might end up with healthier forests, yes (*), but we don’t need it to avoid any kind of ecological catastrophe. * We might not necessarily end up with healthier forests, since removing mammalian predators from the now much reduced and changed NZ ecosystems could have unexpected consequences, e.g. too many native birds in too small areas of remining native forest. Our forests have always been grazed, in early times by Moa. Look at Te Urewera, no poison, deer and pigs, great bird life, great bio diversity. When one is shown a dead tree it does not automatically mean it was killed by possums as some would have us believe. Our flora is having to adapt to climate change and some older trees are struggling with the stresses imposed by drought. “Alarmist nonsense.” – interesting character assessment opener. Have you any actual data that shows the current situation is, as you assess it, a case of ” …introduced mammals … simply significantly suppressing the full potential of our forests”? Again, any data to support this claim? “We might end up with healthier forests, yes (*), but we don’t need it to avoid any kind of ecological catastrophe. This makes a couple of assumptions that I can see – one is that we understand intimately the interdependencies of the current threatened and endangered species and the likely impact of either not doing anything, or delaying doing anything. If you have some analysis, that would help. The second is that native species could, for some reason, overwhelm their environment and not naturally self-limit. Is this a real risk, or merely a hypothetical? And if moa were alive today in the numbers that scientists said that they where the forests were being quite heavily browsed so would we be killing them of with the disgusting cruel poison 1080 or sending out Rambo teams in helicopters.Some of these so-called pests are actually needed for seed dispersal as most native seed actually needs to pass through a gullet or gut to germinate. Firstly, we DON’T “understand intimately the interdependencies of the current threatened and endangered species and the likely impact of either not doing anything” [or of doing nothing]. The ignorance cuts both ways. Hypothetically, the impact of doing nothing could be catastrophic, but it is merely a hypothesis of convenience for those lobbying for billions of dollars in ongoing funding for predator eradication. Secondly, the risk of unintended bad consequences from massive population increases of native species confined within small forest fragments is no more or less hypothetical than the hypothesis above. Er, no. We know very well what happens when we do nothing: the populations of endangered species decline (in many historical cases, to extinction). We can see the impact of doing something in the Hunuas, where targeted control measures have seen kokako have their best breeding season in many years. Similarly, lack of effective pest control in Northland is leading to collapse of those forests. Thus we can be pretty confident of the outcome of “doing nothing”. Er, no, you appear to be making a simple fallacy of extrapolation. I have already clearly stated that mammalian predators suppress our native ecosystems to a significant degree, but I’m saying that this won’t go all the way to total destruction of those native ecosystems. Your use of the term “historical” in relation to extinction is indeed a key point! There was a big wave of extinctions soon after mammalian predators reached N.Z., but nowadays the extinction rate is extremely low. The worst happened long ago and you cannot validly extrapolate that history into predictions about the future. “I’m saying that this won’t go all the way to total destruction of those native ecosystems. ” You may say that, Stephen. The majority of terrestrial ecologists in this country would disagree with you. As for low extinction rates… I would have thought, in a world in the middle of what appears to be a mass extinction event that is anthropogenic in nature, we should be trying to prevent any further losses. Again, you appear to be attempting to justify a ‘do nothing’ approach. I’m not sure whether you’re being deliberately contrary, but it’s really not worth my time to continue this any further. I am not advocating doing absolutely nothing, I am simply suggesting that the situation is nowhere near as serious as those who are lobbying for massive ongoing funding for this claim. It might very well be your personal view that “we should be trying to prevent ANY further losses”, but I doubt if many members of the general public, whose taxes will be used to fund a massive eradication “industry”, will consider it worthwhile, just to prevent a few hypothetical extinctions.